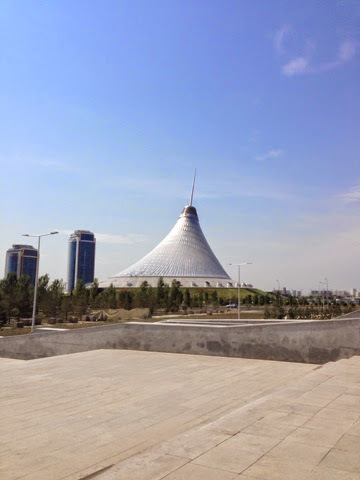 Diving Into Adventure: Astana: Shiny and New! Well I made it! As did all of my bags, which is more than I can say about some of the others that have arrived in the country. All the new staff have come together in the Capital of Astana to partake in an induction session to the school program. So, before we take off for our respective home cities, we have a few days to wander about. 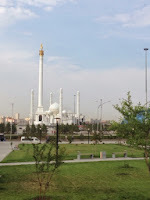 Things that I have noticed about the Capital. 1. 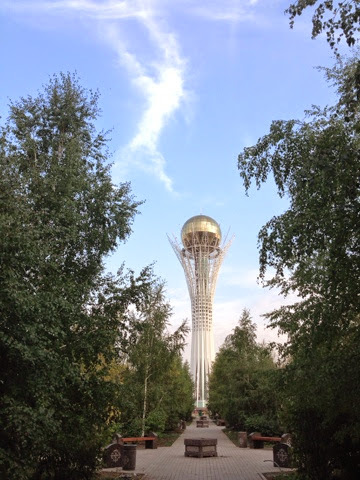 Astana is shiny and new. 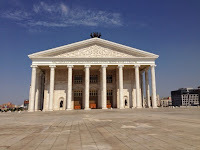 The capital was moved to Astana from Almaty in 1997. 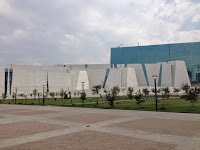 As such, there are many new buildings that have gone up because there was a lack of government, social and economic buildings in the city. 2. 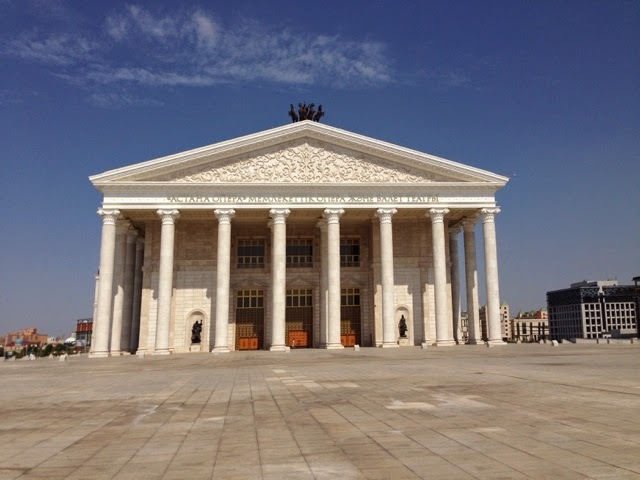 Astana has an eclectic vibe in their architecture. 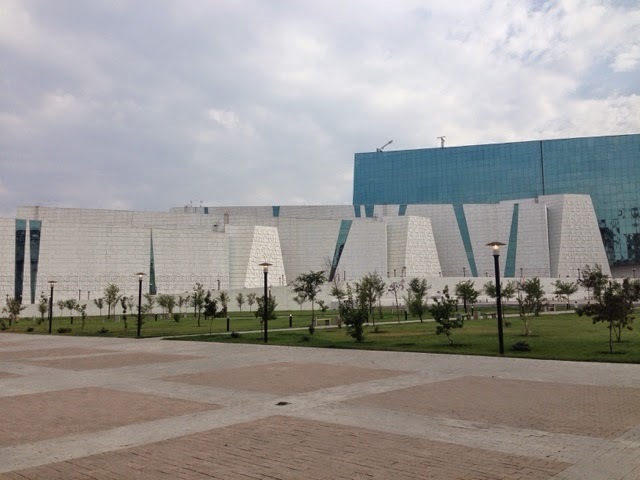 The architects were given free licence to design what they wanted with no sense of congruence. In Astana you will find, the most beautiful mosque I have ever seen, a Parthenon that serves as the national Opera, a leaning Tipi-type thing, a building modeled after the Atlantis hotel, and an Arc de Triumph. 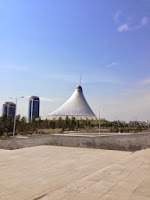 There are some amazing buildings, and it gives Astana a unique feel. I think that it is quite spectacular. 3. The center of town is very small. Everything in the center is very close together, and easy to find which makes it feel very low key. I found this quite enjoyable. The capital lacks the overt hustle and bustle of other capitals of the world, but maintains a great sense of propriety and pride in their new city. I have really enjoyed my time here, but it was only a few days. Alas, we are off to our home-cities tonight - fist impressions to come soon!